Why Should I Floss My Teeth Daily? To floss or not to floss, that is the question. How do you compare to the average American when it comes to flossing? Is it really important to floss every day? Find out more in our blog by your Dentists in Tulsa, Dr. Howarth, and Dr. Bingham. The ADA recommends cleaning between your teeth with floss or another interdental cleaner once a day. Therefore, the above statistics highlight that almost one in every two (49.5%) American smiles are missing out on this all-important step for maintaining healthy teeth and gums. Which of the three above categories do your flossing habits fall into? Do you skip flossing because you feel you don’t have the time, are too tired, or simply don’t view flossing as important? Perhaps you justify your lack of flossing by claiming “I already brush my teeth regularly.” The fact that you’re diligent in brushing your teeth twice a day is indeed a practice worthy of commendation. 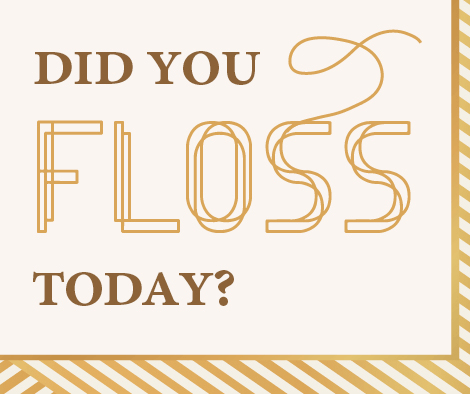 Yet, without flossing, your teeth are still missing out on the protective care they need. Every time you brush, you clean the top, inside, and outside of each tooth. There are areas between your teeth, though, that your toothbrush can’t clean effectively. Therefore, without flossing you’re actually missing out on cleaning one-third of each pearly white. Yikes! You wouldn’t be satisfied with a worker who only completed two-thirds of the work you hired him to do, would you? Then, why should you be content with cleaning only sixty-six percent of your tooth surface by brushing alone? Bacteria can thrive along these unattended surfaces, and over time lead to the formation of plaque, tooth decay, and gum disease. Floss and other interdental cleaners remove debris trapped between the teeth, and remove the film of bacteria before it has a chance to harden into plaque. Pro Tip: Don’t forget to floss all the way to your very back teeth. Have a friend who forgets to floss? Share this info with them today. Brushing, flossing, and regular dental visits are all essential factors of proper dental care that should not be overlooked. Take the time to care for your teeth, and they’ll thank you with a sparkling, healthy smile you’re proud of. 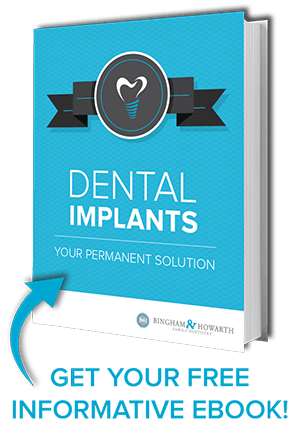 Options for Missing Teeth - Which is Right For You? Ask the Dentist: Is Teeth Whitening Safe? Your information will not be sold to another party and will remain secure. Are you missing some teeth?